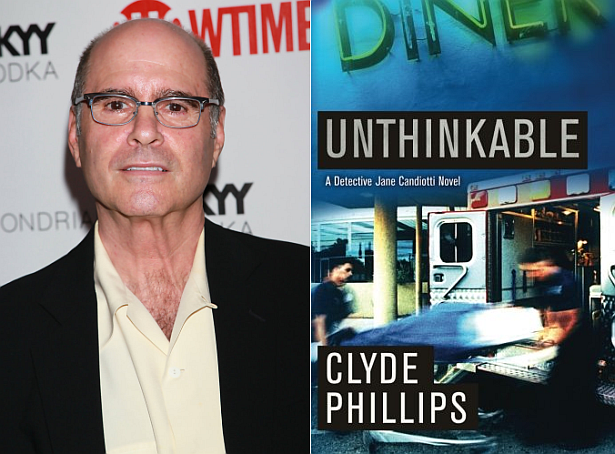 Former Dexter showrunner (seasons 1-4) Clyde Phillips, who's currently running Showtime's 'Nurse Jackie', pens an all-new novel, which is titled 'Unthinkable'. The book is now available. Book description: For homicide lieutenant Jane Candiotti, stress is part of the job. But now that she and her husband are expecting their first child, Jane is under strict instructions to take it easy. A tall order on an average day, yet never more so than when a mass shooting at a local restaurant claims six victims—including her teenaged nephew. Jane’s always been professional. But this time, it’s personal. Before she can bring a baby into this world, Jane vows to hunt down the monster who didn’t think twice about shooting an innocent kid. But every thread of evidence leads her deeper into a tangled web of deception, violence, and murder. Her only hope of navigating the twisting turns of this case is to enlist the help of a dangerous ex-con, one who could shed light on the connection between the death of her nephew and a decades-old murder case—eventually leading her to the most shocking discovery of her career.